I hope you've got six AA batteries, because it's time to fire up the old Virtual Boy and check out Virtual Boy Wario Land! If you haven't played a Wario Land game before, fear not, I hadn't either. The thing to know about Wario as compared to Mario is that Wario cares more about money than saving princesses. As such, even though this is a platforming game, the levels are designed with more exploration and collection in mind than the typical 2D Mario game; the twenty minute time limit for each level compared to Mario's average of two minutes can attest to that (although, to be honest, that time limit is probably just there to encourage you to rest your eyes every twenty minutes). To win each stage, you'll have to find the key to the elevator at the end of the level. But if that's all you do, you're playing the game wrong, because each level is also loaded with secret areas filled with coins, hearts (for 1-ups), and one extra hidden treasure. After each level you'll also have the option to risk coins for a chance to multiply them or spend coins to win more lives. 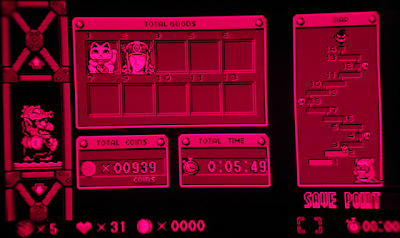 Finding the rare treasure in each level is the only way to see the game's best ending (other endings are given out based on your total coins) and to unlock the second quest. The plentiful secret areas are almost always accessed by using Wario's various powerups to destroy walls and objects or to clear otherwise impassable gaps. If you've played a Metroid game before, you'll recognize a similar thrill from this game in the number of unexpectedly destructible walls and hidden areas. There are secrets within secrets within secrets in this game, so you'll want to be suspicious of everything. As a side note, the fact that this game takes place deep underground in rather mysterious locations, has distinctive item rooms, and elevators between levels also contributes to a tone very similar to that of a Metroid game. Unlike Mario, Wario's powerups and modes of attack focus more on dashing into things, ground pounding, and shooting fire (but not fireballs). Jumping on an enemy only stuns it, allowing you to either pick it up and throw it or to finish it off with a dash. 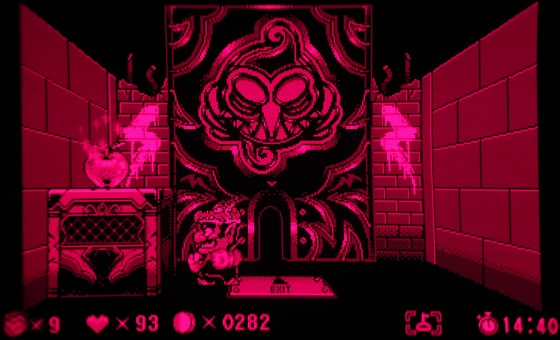 This iteration of Wario Land also makes use of the Virtual Boy's gimmick of 3D by allowing you to jump back and forth from the foreground to background by using special blocks. Enemies and obstacles also sometimes move between the different levels of depth, and bosses especially make use of this feature. By the way, Kirby: Triple Deluxe also uses the same kind of things to show off the 3DS's 3D effect. Jump pads let you move to the background to explore new areas and avoid hazards. There are several catchy tunes to be heard in Wario Land, though most of them are just variations of the main theme. It also has some fancy stereo sounds that occasionally offer audio cues to alert you to the direction of incoming attacks. Some transitional areas take another page from Metroid's book by only having ambient sounds, like that of a waterfall for example. Unfortunately, as a limitation of the hardware, these ambient sounds come at the expense of muting other sound effects. These areas are few and far between though, so it's not a major problem. Concerning the graphics, Virtual Boy Wario Land's are fairly nice, as far as red and black graphics go. The sprites and backgrounds are crisp, animations are clean and noticeably above average, and everything moves fast and smoothly. According to my friends who can see 3D, the 3D effect is also "really cool". There's also a good bit of variety between each level's visual theme and enemies, and, occasionally, minor new additions to the gameplay as well. That variation partially makes up for the game's deplorably short length of fourteen levels which includes four boss levels. Indeed, if there's one complaint I have for this game it's that it is short. Chances are that it'll only take you about two hours to finish, even if you find most of the treasures. Even the second quest doesn't offer much additional replay value as it only adds spike blocks to the levels and doesn't change any enemy or treasure locations. If you do want to try to unlock the second quest, you'll be annoyed to find that there's no easy way to skip back to the levels in which you missed treasures. Instead, you'll have to play the whole game over again or walk back through each level in sequence. 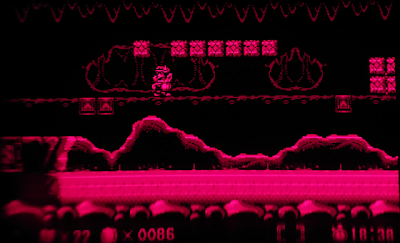 Virtual Boy Wario Land is certainly an enjoyable game that's worth playing if you get the chance. It's not worth buying a Virtual Boy over, if only due to its incredibly short length, but if by some stroke of luck it sees a virtual console release, I definitely recommend giving it a shot.